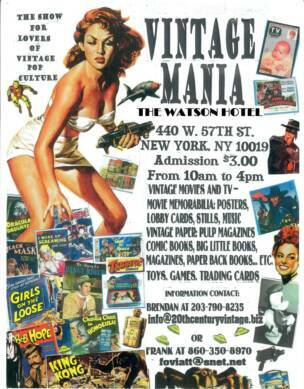 For those of you who are lovers of Pop Culture here is a convention in the New York City area. Sponsored by Nostalgia Collectibles and R&B Enterprises. We have door prizes every hour !